Today is Safer Internet Day! You may be thinking “Great, another unofficial, meaningless day on which I still have to go to work like ‘Ice Cream for Breakfast Day. '” (That’s a real day actually). What you should be thinking is “Great! It’s that unofficial day where I get to learn safe Internet use tips to keep my identity, credit cards, and other sensitive information out of the hands of scammers and hackers!” For those of you who are excited about today, let the unofficial festivities begin! There’s a real reason behind the formation of Safer Internet Day. To be blunt, it’s because too many people think they’re immune to cyber threats because they “don’t have any money” or because they’re “a nobody.” Turns out, all of us are targets and any bit of our personal information is useful for a hacker or scammer to figure out a credit card number, steal a tax return, or even buy a house. Because cyber threats against consumers are forever increasing and diversifying in their way of reaching us, no one, and I mean no one is immune to them. We want to arm you against these threats so you can avoid the drawn out mental and financial frustration that comes from being victimized. Here are a number of tips that if put in place, can make the internet a safer place. This may seem like a cop out, but it’s not. It’s too easy to click on something that will lead to your doom. So, don’t click the link in that empty email sent from someone you haven’t heard from in a few years. A hacker stole their email address and is using it to get you to download malware that will steal your passwords etc. Don’t click on anything in branded emails with type-o’s. This is a common scam where the scammer makes an email that looks like it’s from a company you do business with but the link downloads malware or the forms collect your credit card or personal info and give it right to the scammer. The list of “don’ts” goes on and on but one thing is common; they’re all fairly logical tips. Use reason and you’re likely to avoid problems. Antivirus software is a basic line of defense against viruses that have already been found and are being tracked. It’s considered “basic” defense because millions (yes, millions) of new viruses are released daily. So, it’s difficult for ANY antivirus manufacturer to stay on top of all viruses. Some may get through. Even though there are holes in all antivirus software, they will still stop the majority of viruses from getting through. Anti-malware is similar to antivirus. Malware is any sort of program that finds its way onto your devices and reports your usage information or even personal information back to the developer thereof which includes spyware, adware, ransomware, etc. Anti-malware keeps track of already accounted for malware and will block it from being installed. It is this sort of bad software that fuels a large portion of cyber crimes these last few years. If you’re encountering a lot of unsolicited email which is called “spam” (almost as bad of a thing as that salted meat from a can), you’ll want to install an anti-spam software. This will remove spam email better than your inbox in order to help you avoid opening and clicking on emails that are looking to steal your information. Your Internet Service Provider (ISP) such as Cox, AOL, Xfinity, etc. may have this function available for you as well. Easy to guess email addresses such as john.smith@gmail.com or jsmith@outlook.com will find their way into spam lists very quickly. Those lists are used by scammers to trick you into downloading malware. Email addresses are also used as usernames in many cases. So, after easily guessing your email address, hackers only need your password to get into your accounts. Easy to guess passwords like 12345, abc123, or password can be cracked in seconds. Hackers use certain software to guess your password and insert it into your online accounts where they then have free reign over your personal and sensitive info such as credit cards. Email attachments can also contain viruses or malware, even if the email came from a friend! A number of email providers such as Gmail will automatically scan the files you download and quarantine them if they contain known viruses or malware. If your email provider doesn’t do this, most of them have the option to scan a file manually before downloading it by clicking the right button on your mouse and looking for the scan option in the menu. If this option is not available, you can perform a search via search engine for what to do or contact your email provider.  A firewall lets you know when a program from the Internet is requesting access to your computer and when a program from your computer is requesting access to the Internet and lets you stop either connection. Controlling program access to the Internet is important because some malware must download themselves to your computer. If you can stop it before it happens, you will avoid a world of hurt. There are plenty of free firewalls out there. To avoid questionable websites, you can install browser add-ons or extensions that will tell you if it’s a reputable site or not. Any of the watchdog extensions below will provide a security rating of the websites in your search results. So you know, they work kind of like a neighborhood watch, complete with false alarms. So, you can’t be sure that you’re safe and sound every time you take its advice but, using something like this will lower the odds of running into problems at least. This is one that many of us are guilty of but don’t know the ramifications thereof. Many spam emails contain viruses and other malware in the actual email itself, not just in the attachment or via a link. The simple act of opening the email can install an infection. As mentioned, certain viruses and malware are built to spy on you and steal your personal and sensitive information. If you don’t recognize the sender, delete the emails without opening it. We just partially explained the “Why?” portion of this but lets hit it anyways. Don’t open an email unless you’re expecting it to come, or it’s personalized. For example if the subject line says “Just a reminder about Jim’s surprise birthday party tonight,” and you know it’s Jim’s birthday coming up and you’ve already been invited, open ‘er up! Here’s one last common sense tip with regards to attachments: Don’t open any attachment with strange or concerning file names such as “blowup.exe” or “reddragon.exe” etc. Just delete the email. If your friend meant to send you the file and is wondering if you got it, just say you never got it and ask them to re-send it (just kidding, don’t lie). Is all this overkill you ask? Nope. Safe Internet use is the new norm. Because the internet is more or less a public place where anyone can do almost anything they want on it, we can no longer take a “what-you-see-is-what-you-get” approach to it. Anything you see online can be a wolf in sheeps clothing. These days, and well into the foreseeable future, it’s crucial to learn and implement a new way to use the internet. Follow our tips above and stay safe out there. For more useful tips for staying safe online click here.